As Rhodes is among the most popular islands and conveniently located on the south eastern side of the Aegean Sea, it serves as a great base for day trips in the region. There are so many places to discover in and around Rhodes island, Greece, that options for excursions seem endless. Here are some fantastic Rhodes day trips that we suggest during holidaying there. Lindos is the second most beautiful place in Rhodes, following the Old Town. This picturesque village with the white houses and the paved streets is constructed on the slopes of a hill and offers fantastic view to the sea below. 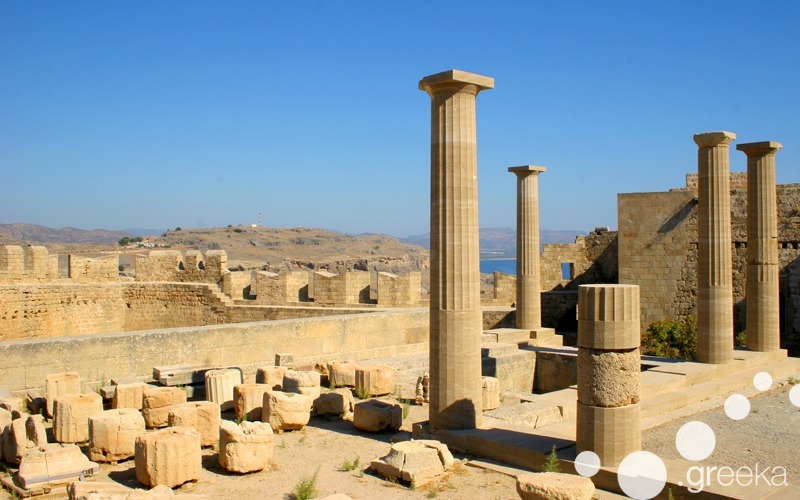 On top of the hill is a magnificent archaeological place, the Acropolis of Lindos, with monuments from the ancient and the Byzantine times. There are many bus and boat tours to Lindos from many tourist places around the island, starting from Rhodes Town, Faliraki and more. This is one of must-do Rhodes day trips and most tours end with a swim in the famous Saint Paul’s Bay, just below Lindos. 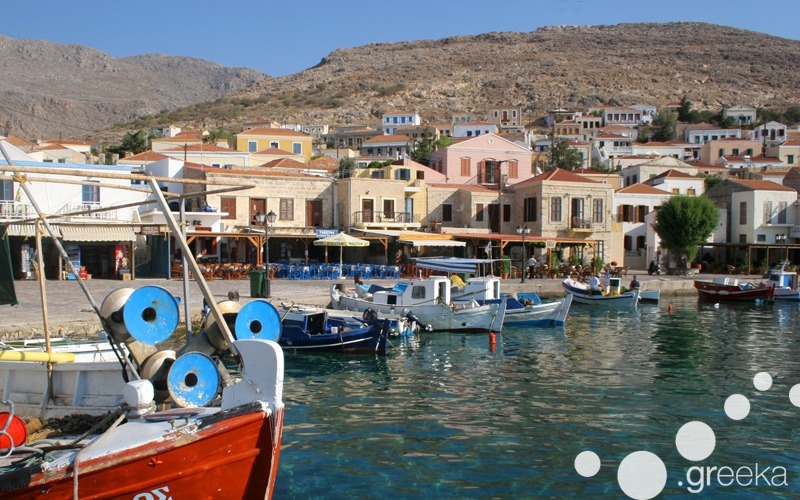 The most popular boat tour from Rhodes is to the neighboring island of Simi. This is one of the most picturesque Greek islands, with characteristic architecture. The brown and yellow houses of Simi are built against a hill and offer the most breathtaking sea view. This is an island for lionhearted as the steep paths up to the town are truly challenging. Rhodes day trips to Simi also make a stop in Panormitis, a small port on the southern side of the island, for a visit to the historical monastery. 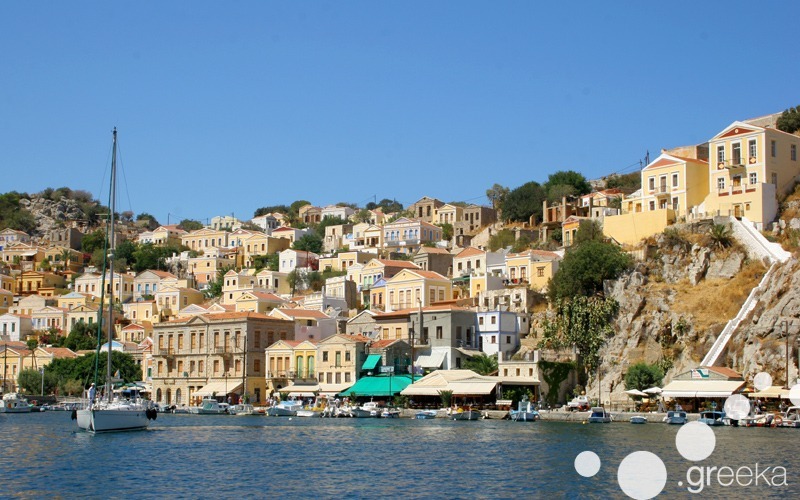 A special boat tour from Rhodes is to the close, tiny islands of Halki and Alimia. These Rhodes day trips depart from the small port of Ancient Kamiros. First, they usually stop in the small and rocky island of Alimia, that is no longer inhabited today, for a quick swim in the fantastic crystal waters. Next stop is the secluded island of Halki, totally off the beaten track. The main and only village in Halki is Nimporio, a sleeping place with fish taverns along the port, where visitors can enjoy a delicious meal. Depending on how much time you have at your disposal before returning to Rhodes, you can take the mini bus to goes to Potamos beach for a swim.